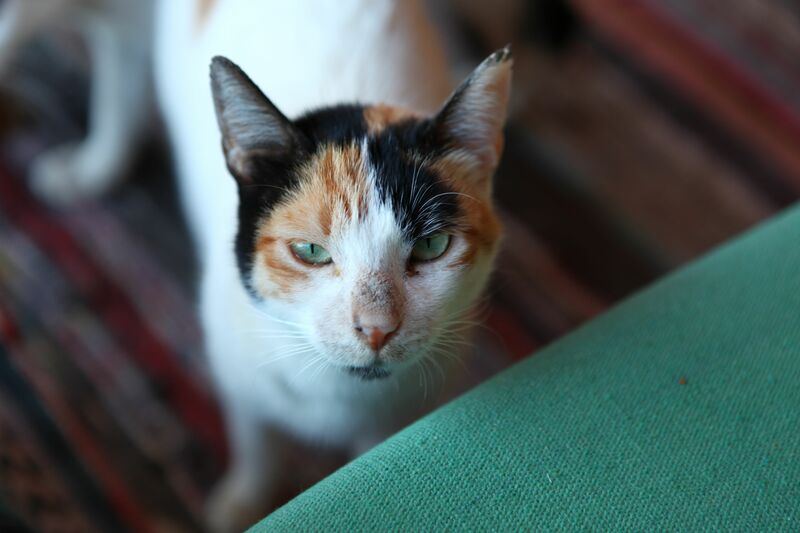 In Dahab this week, there are about 1/20th the usual number of tourists, it’s half the temperature it was last time I was here, and there are at least twice as many cats. 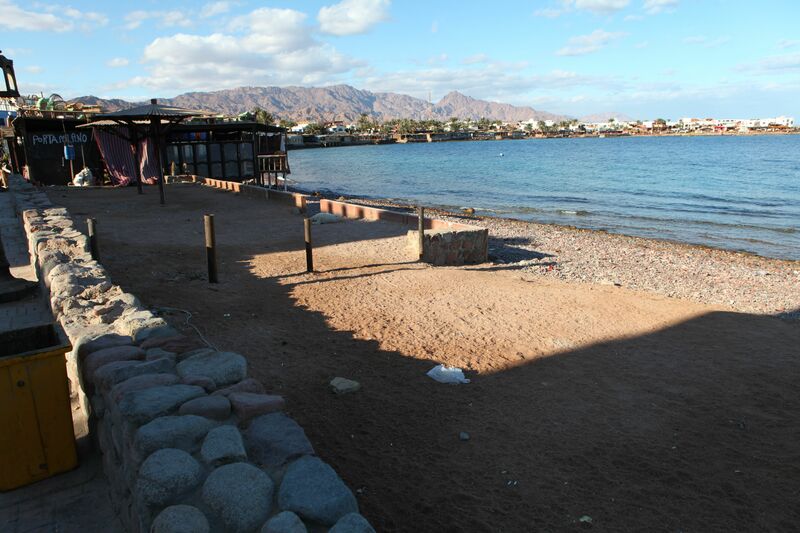 It’s cold in Dahab. Colder than average this time of year. Too chilly to scuba dive (at least for me). So I’ve been chillaxing. 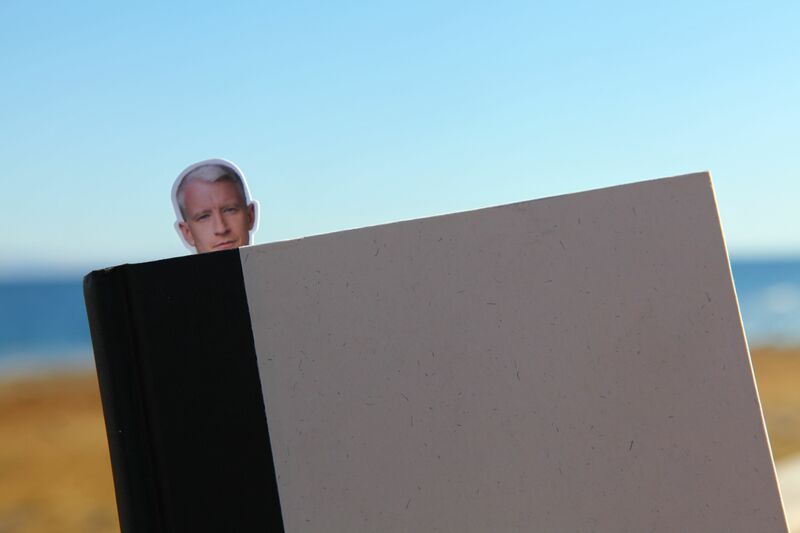 I read a Norwegian mystery novel about a serial killer (The Leopard by Jo Nesbø), using the Anderson Cooper book mark I got at the airport book store. Hanging with the cats that have overrun this place and lurk under your table to try to snag some food at dinner. 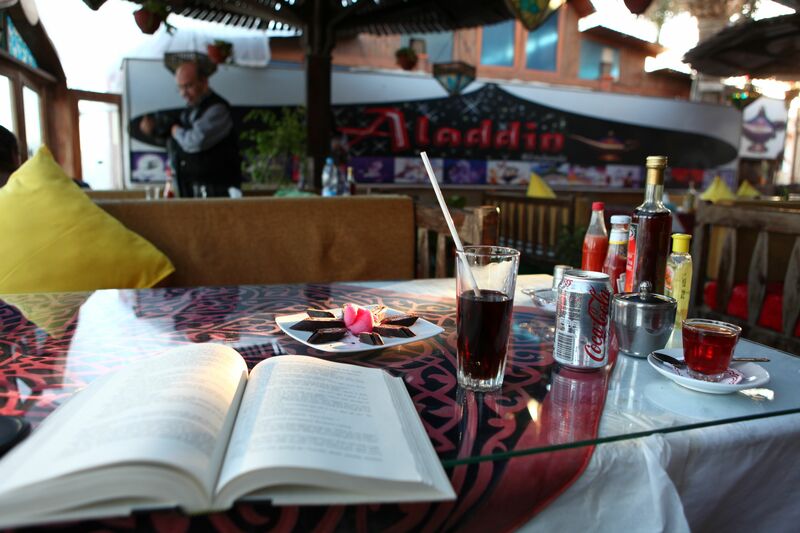 Enjoying seaside dining (with several cats at my feet). 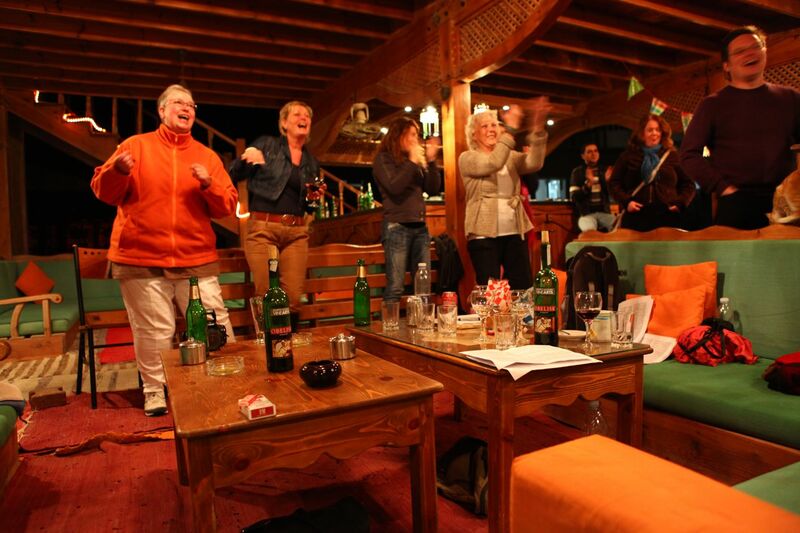 And performing karaoke with a group of Dutch women who are here on a “singing vacation.” They rehearse as a choir all week, in workshops with a vocalist/teacher, then do a performance this Thursday night at a club in Dahab. Tonight, they invited me into their little circle. 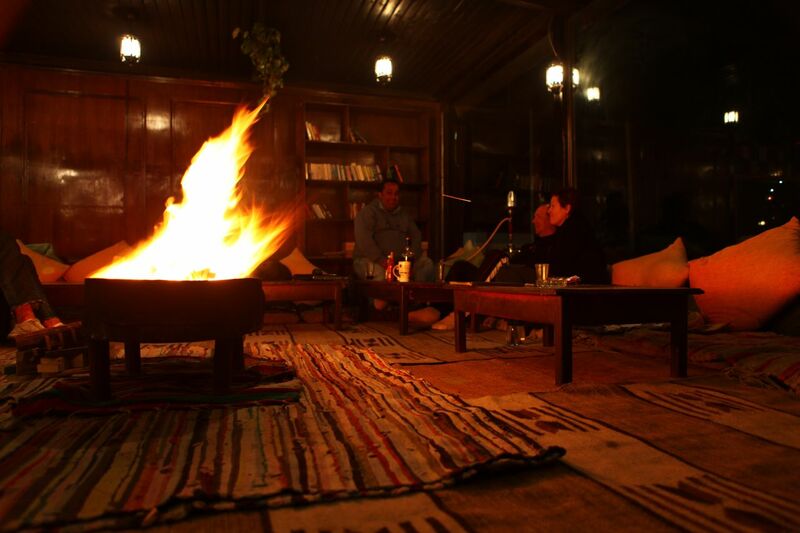 Then I chilled by the fire. I assume this is a vacation between jobs–sounds like fun!